While trying to normalize relations with the West, Putin should also be expected to continue his efforts to ensure that neither Ukraine nor Georgia “escape” into NATO, say experts. While few doubt that the Russian president will run for a fourth term in 2018, many experts say it will be his last, and expect a more cautious approach to lay the ground for a political transition. The evidence that Russian President Vladimir Putin will take a more balanced tone was seen in his annual presidential address earlier this month. While it contained the same, pro-business, pro-social messages as before, it was lighter in tone. Putin, who became the Western media’s favorite whipping boy after the conflict in Ukraine, refrained from hard-hitting criticism of the West, claiming that despite Western sanctions, Russia’s economic problems were purely local. Konstantin Kalachev, a Kremlin-connected political pundit who described Putin’s address as “peaceful,” said he expected the Russian president to pursue a “balanced and centrist policy, designed to increase economic growth.” While economic sanctions and low energy prices were taking their toll on the Russian economy, Russia needed to find different ways to boost growth. But experts believe that will be a hard task for Putin, even though he still enjoys strong support across the nation. Russia might soon face huge economic problems, with the country’s stabilization fund due to run dry by 2017, according to Tatyana Golikova, head of the state Accounting Chamber. Easing rules for small business and building new, government-sponsored infrastructure project might be helpful, but both supporters and critics say that the biggest problem is rampant corruption. There are expectations that Putin may start to fight corruption more openly, targeting even those in his own circle: The Kremlin has already shown signs that it is serious about corruption in the elite after the recent arrest of economics minister Alexei Ulyukayev. The minister, once a powerful and respected figure, was involved in a bribery scandal. He is accused of taking $2 million from Rosneft, Russia’s biggest oil company, in return for giving the green light to a partial takeover deal. While the minister is the most senior official ever detained in Russia, some critics say that his arrest was part of a power struggle within various Kremlin groups and has nothing to do with corruption. 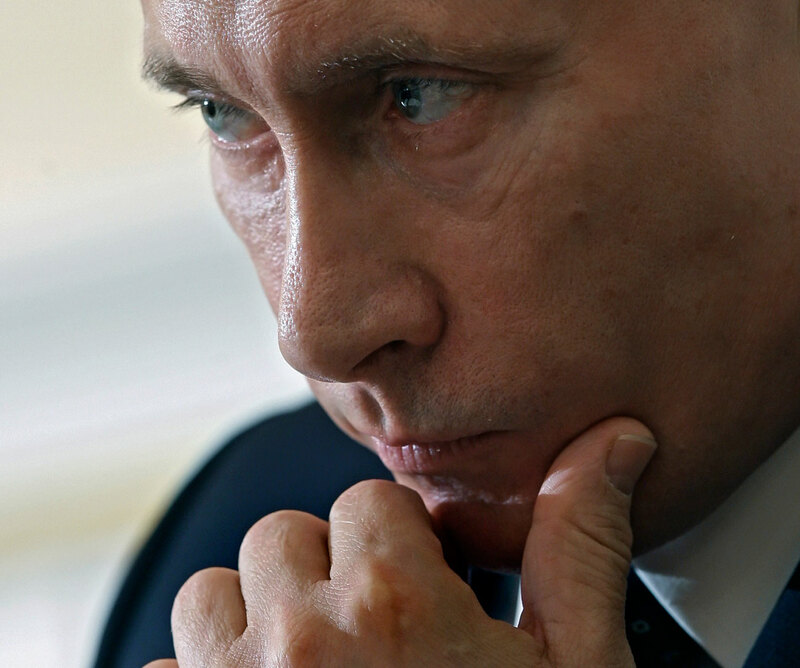 To prove them wrong, Putin will have to lock up more corrupt bureaucrats, experts say. “The fight against corruption may become more open,” said Nikolai Mironov, a left-leaning political expert from the Center of Political and Economic Reform think tank. But Kalachev believes the fight against corruption will be done “without extremes” for the sake of stability. “The key thing the Russian people value is stability,” he said. Mironov is also expecting Putin to concentrate his efforts to improve the crumbling welfare state, increasing spending for education and medicine: “Things like democracy and human rights are secondary to many people; the social sector is more important,” he said. The Kremlin will have a very limited amount of money to satisfy most of these needs. While few expect Putin, a dedicated conservative, to adopt libertarian values, he might be able to restrain the hardline nationalist groups who present themselves as the Kremlin’s helping hand. “I would like to stress that... nobody can forbid anybody to speak freely and to address his position openly,” Putin said in his annual address. A senior Kremlin official who spoke to RBTH on condition of anonymity said that the message was aimed at various public groups that disobey public order by attacking museums and artists’ galleries: “Nobody is allowed to break the law,” the official said. Following the trend, Putin has even said that he is ready to reconsider the controversial NGO law, which labels those who engage in “political activity” as “foreign agents.” During a recent meeting with Russian human rights activists, the president agreed that the term “political activity” should be defined better. The person who will drive Putin’s new “liberal agenda” is his new deputy chief of staff, Sergei Kirienko, who replaced Putin’s old ally Sergei Ivanov. A former senior official of the liberal Union of Right Forces party in the 1990s, Kirienko briefly served as prime minister. Since then he has headed the Russian Atomic Agency. It is too early to say what kind of changes he might bring to Russia’s political system. Although some expect the Kremlin may permit key critic and opposition activist Alexei Navalny to run against Putin in 2018, despite the fact that Russia’s Supreme Court recently upheld his criminal conviction for fraud – widely seen as fabricated – following a European Court decision. Navalny plans to run – he announced his presidential bid for 2018 on Dec 13. However, while Putin is certain to see off any challenger and win a fourth term, what will probably be his last term will be highly critical, since it will pave the way for a political transition. “Putin will hardly stay in office longer, he was never a fan of Soviet-style gerontocracy,” Mironov added. Nor is Putin a fan of revolutions, calming those who wanted to use the upcoming 100th anniversary of the Bolshevik revolution to divide the nation: “Let’s remember that we are a united nation,” the Kremlin chief said in his address. Putin’s anti-revolutionary agenda and his possible attempt to ease tensions between various political groups, might be connected. “There were some young men who were suppressed by the authorities and they became radical Bolsheviks,” one senior television pundit with ties to the Kremlin told RBTH. He cites a possible presidential victory for right-leaning François Fillon in France and Frank-Walter Steinmeier in Germany, both strong proponents of normalization. But while trying to normalize relations with the West, Putin should also be expected to continue his efforts to ensure that neither Ukraine nor Georgia “escape” into NATO, said Saradzhyan. “He will do so even if the price for achieving that goal means continuation of the new Cold War with the West. He views the post-Soviet neighborhood (with the exception of the Baltic states) as a zone of Russia’s privileged interests,” said Saradzhyan. “He will be prepared to make sacrifices to maintain Russia’s lead role in that region, hoping to integrate it into an economic, political and military alliance that would help Russia advance efforts to become an independent, if not indispensable, pole in the global order along with the U.S. and China,” he added.